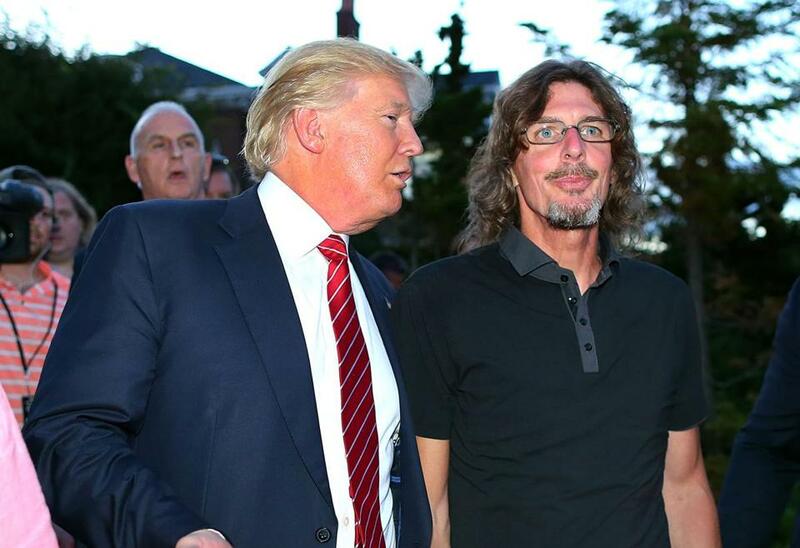 Ernie Boch Jr. hosted a fund-raiser for Donald Trump at Boch’s home in Norwood on Aug. 28, 2015. WASHINGTON — Top Republican donors in Massachusetts show little sign of supporting Donald Trump’s campaign, despite the real estate mogul’s boasting that his nomination would put New England’s traditionally blue states in play for Republicans. Boston billionaire Seth Klarman, president of the private investment firm The Baupost Group and New England’s number one campaign contributor, said through a representative that he would not — now or in the future — donate to Trump’s campaign. Those in former Massachusetts governor Mitt Romney’s vast fund-raising network appear to be in various stages of introspection. Donald Trump has released a list of 11 potential Supreme Court justices he plans to vet to fill the seat of late Justice Antonin Scalia. 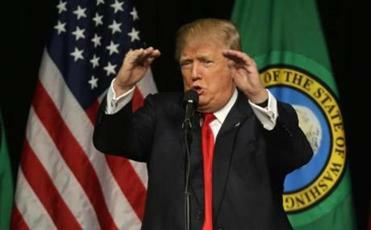 Trump, whose first fund-raiser is scheduled for Wednesday in Los Angeles, will need to come up with at least $1 billion to combat Democratic front-runner Hillary Clinton’s robust money machine. The reality TV star has so far poured more than $36 million of his own money into his campaign, according to federal election financial reports. Of Massachusetts’ top ranked Republican donors this campaign cycle, only one — auto tycoon Ernie Boch Jr. — is publicly supportive of Trump. Boch is listed as having donated $86,936 to Trump’s campaign, which he said was the cost of food, drinks, and entertainment for a Trump event he hosted at his Norwood home last August. But nearly all of the money was refunded because it exceeded campaign finance limits. In addition to Klarman, two top Massachusetts donors said they soundly reject Trump and would not contribute to his campaign, but did not want to be named. Three other donors — including Bob Reynolds, CEO of Putnam Investments, who has given more than $100,000 to the Republican National Committee and $100,000 to the Senate Leadership Fund — would not comment. Others did not respond to requests for interviews. While there is room for some of these traditional GOP donors to get on board the Trump campaign, so far there is no rush to help the presumptive nominee. Many have already donated hundreds of thousands of dollars to super PACS supporting the failed presidential campaigns of Marco Rubio, Ted Cruz, Lindsey Graham, Jeb Bush, or Chris Christie. Several say they are planning to continue directing their money toward keeping a Republican majority in Congress. McLane, for example, says he plans to contribute to the campaigns of at-risk congressional moderates such as Senator Kelly Ayotte in New Hampshire and others facing close reelection races. Trump and the Republican National Committee came to a joint fund-raising agreement this week that would allow donors to contribute as much as $449,400, spread among the national and various state committees, giving Trump his first vehicle to scoop up large sums of cash. Still, Trump’s campaign can only accept the maximum of $2,700 from each individual. The rest goes toward electing Republicans for local, state, and national office. The joint fund-raising effort is being lead by Lew Eisenberg, the RNC’s finance chairman and top Romney donor who was John McCain’s finance chairman in 2008. Other key Romney donors — Dallas restaurant-chain owner Ray Washburne, GOP lobbyist Wayne Berman, and prominent party fund-raiser Ron Weiser — are also reportedly set to play major fund-raising roles for Trump. On the national stage, it appears the old adage is very much true: Power attracts money. Wealthy businessmen like Las Vegas casino magnate Sheldon Adelson, Texas oil titan T. Boone Pickens, and Minnesota broadcast executive Stanley Hubbard have all recently announced their support. Adelson, who had previously supported Cruz, reportedly pledged this month to inject $100 million into Trump’s campaign after he became the last candidate standing. Adelson penned an op-ed in The Washington Post last week urging fellow Republicans — especially “those who provide important financial backing” — to “mount up” and back Trump. Pickens, who had backed Bush’s campaign, announced last week at a hedge fund conference in Las Vegas that he would “take a chance” on Trump. “And just in case it’s a mistake, [I’ll] be gone,” said the 87-year-old, as reported by The Wall Street Journal. Pickens, who had funded the Swift Boat Veterans for Truth campaign against John Kerry in 2004, is scheduled to host a reception at his Texas ranch in June for Great America PAC, a Trump super PAC. And Hubbard, who had previously funded efforts to oppose Trump, has said he would join the PAC’s advisory committee. While mega donors now appear willing to open their checkbooks, there is confusion over who best to make the check out to, as rival Trump super PACs jockey for legitimacy. Other donors say they would prefer to channel their donations through the RNC joint fund-raisers. “People are more comfortable helping the party than they are putting money behind super PACs whose principals they don’t have a relationship with,” said David Tamasi, a Republican lobbyist and former fund-raiser for Romney and Christie who plans to raise money for Trump. Trump’s plan of flipping Massachusetts and other New England states to the Republican column in November certainly does not rely on wealthy elites in the Back Bay and Financial District of Boston. It was white, working-class voters who propelled him to his Massachusetts primary win in March, his largest margin on Super Tuesday. Bob Maginn, former chairman of the Massachusetts Republican Party, major Romney donor, and convention delegate for Rubio, said he will consider donating to Trump but expects him to bring in substantially fewer high-dollar donations from Massachusetts than Romney did. He said Trump, who has drawn a record-breaking primary turnout with his populist message, should follow Democrat Bernie Sanders’ playbook and seek small-dollar online donations from his supporters. “I would imagine, if he really turned it on, millions of people would send him 27 bucks to defeat Hillary,” Maginn said. Tracy Jan can be reached at tracy.jan@globe.com. Follow her on Twitter @TracyJan. Matt Viser of the Globe staff contributed to this report.